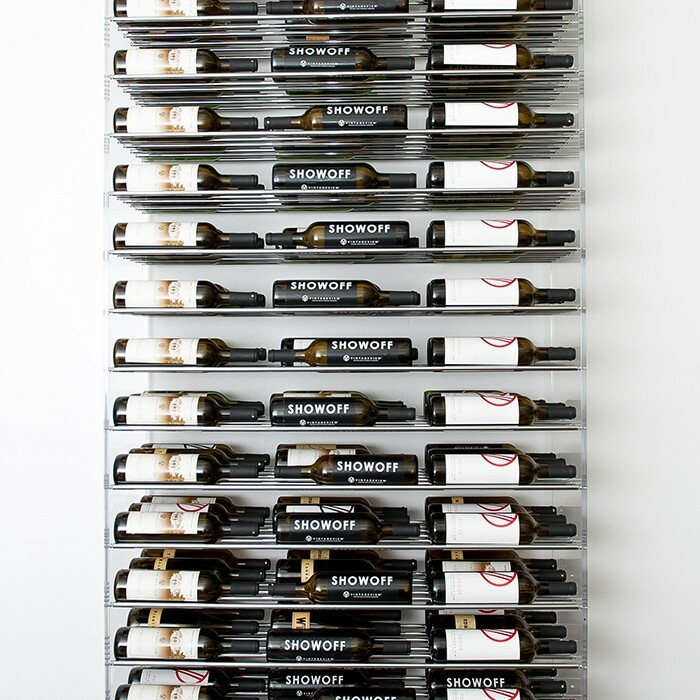 Allow both natural and LED light to float through this compact and contemporary 81-bottle display constructed of premium acrylic sides and steel storage rods. 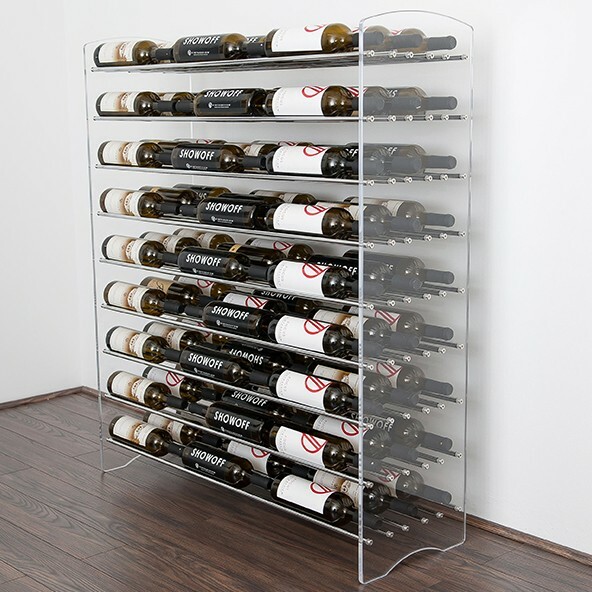 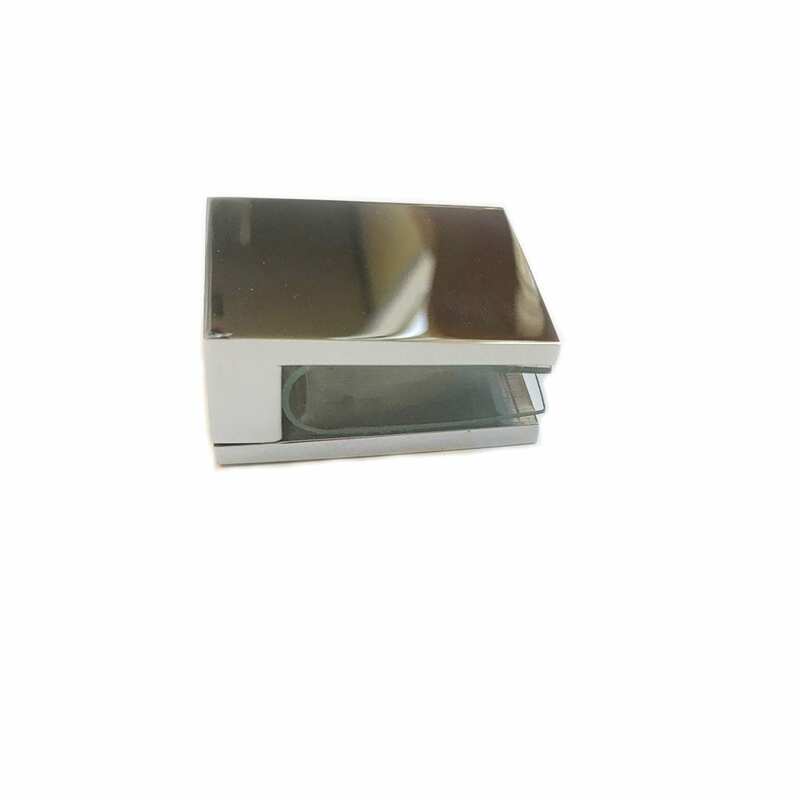 Configure this contemporary acrylic and metal wine case to fit your bottle layout, bottle capacity, and room space needs. 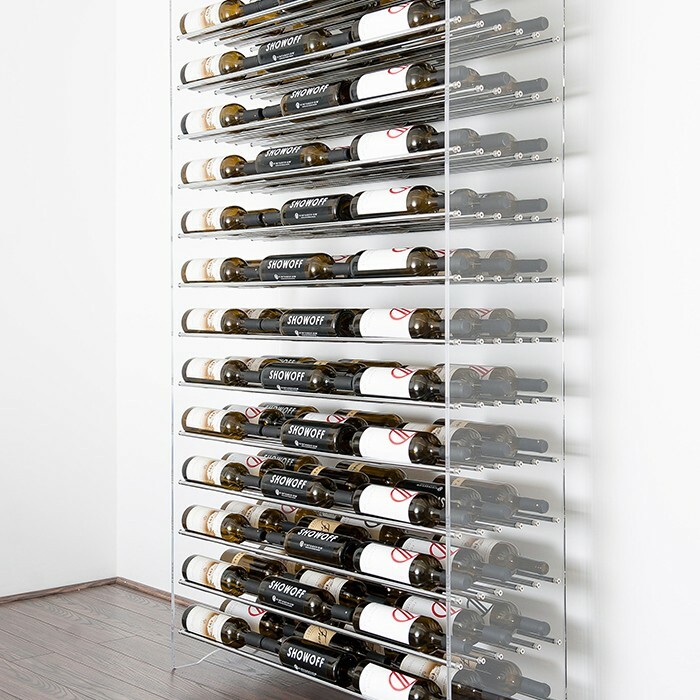 The Evolution Series Wine Tower design options with custom created acrylic panels and metal storage rods are virtually limitless. 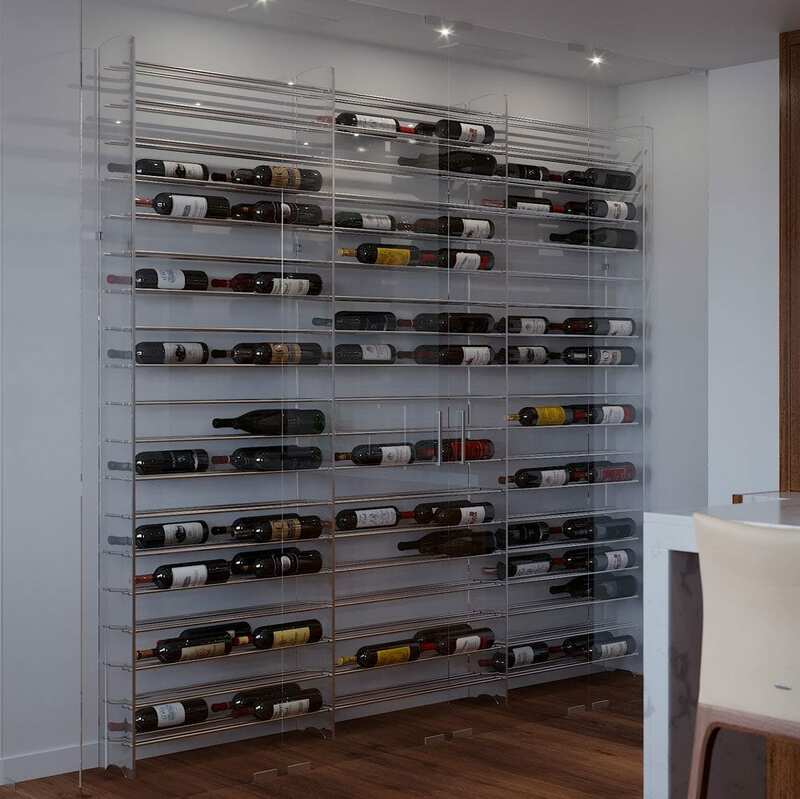 The companion piece to any Evolution Base, Extension Packages double a base kit’s storage capacity. 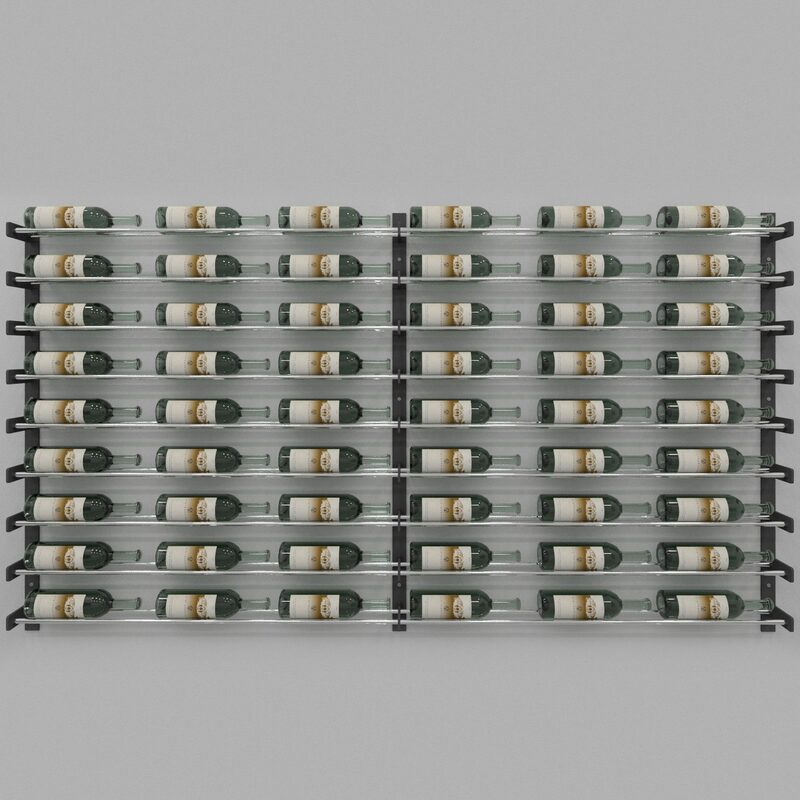 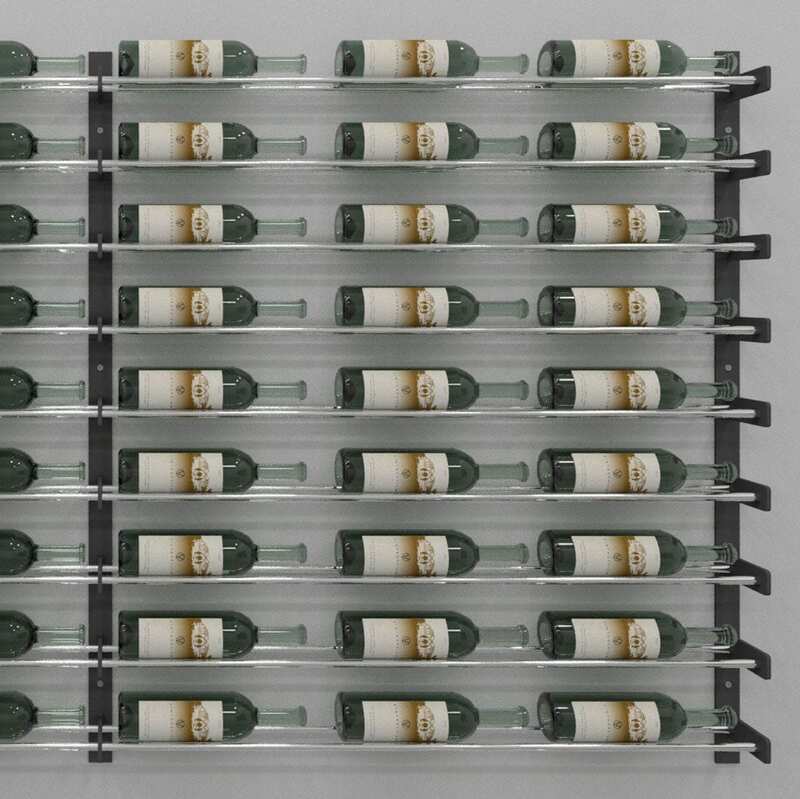 Each extension comes with one acrylic wall (4, 6, or 8 feet high), the rods to store an additional 81, 126, or 162 bottles, and the connection hardware to attach to a base unit. 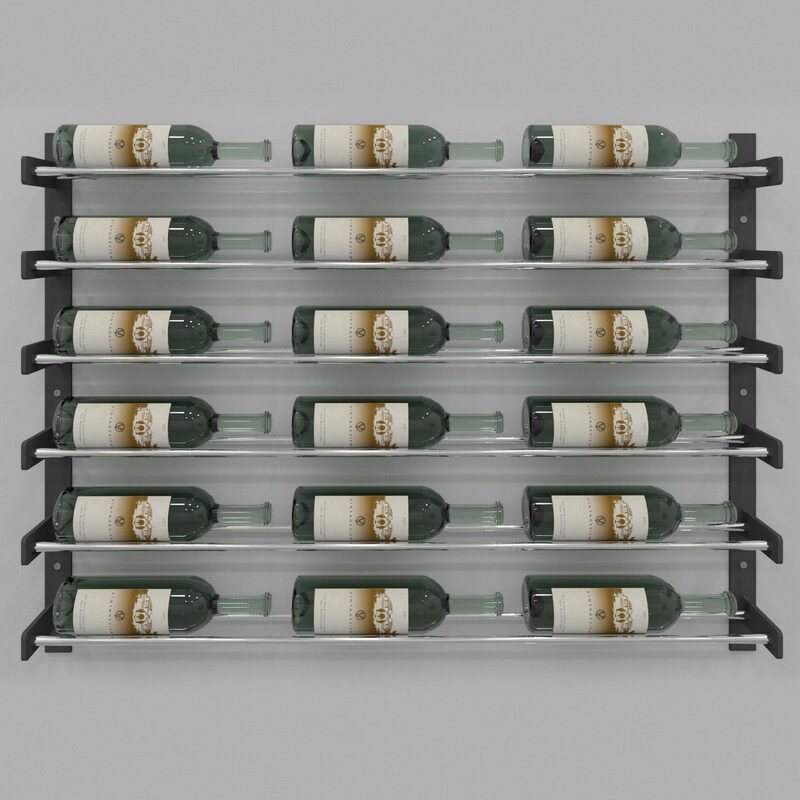 The Wine Wall 45″ wine rack kit (9 bottles high) will fill a wall in impressive fashion and contains everything you need to install one base wine rack unit with one extension for a 6-bottle wide display. 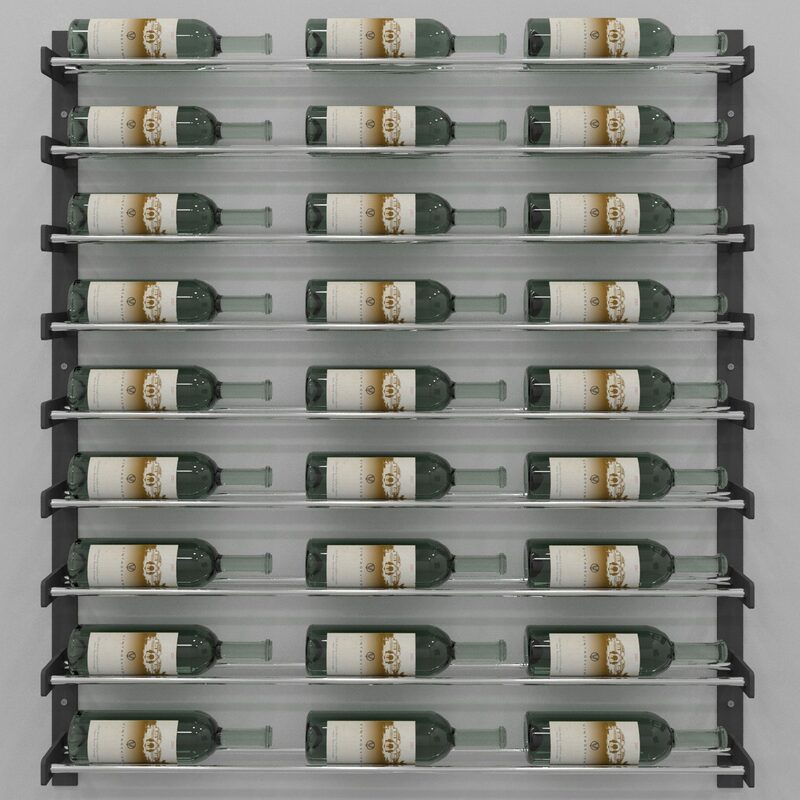 The Wine Wall 5″ is a one-bottle high wine rack that stands alone as a great accent piece to wet bar and other small wine wall projects or can be lined up with other Wine Wall heights to create any custom size display to fit your space. 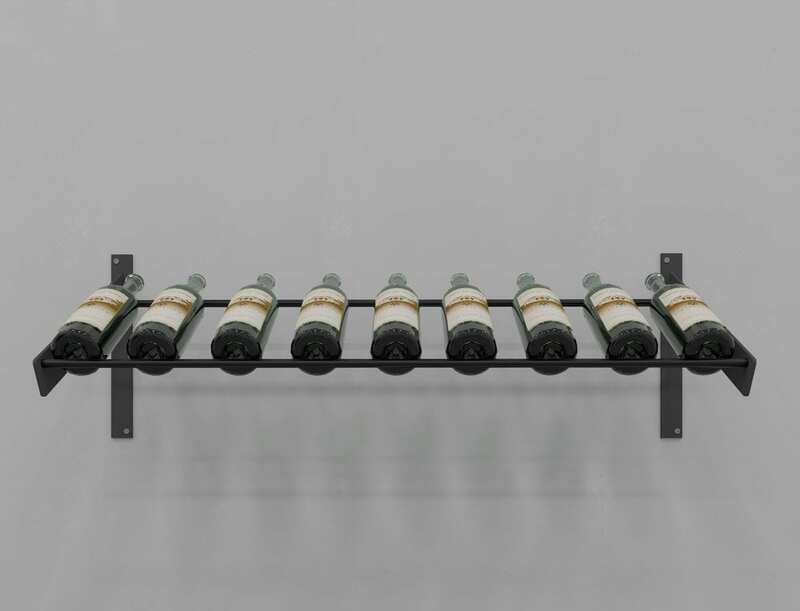 The Wine Wall 15 is a 3-bottle tall wall-mounted wine rack that can serve as an artistic focal point on the wall or can be lined up with other Wine Wall heights to create a custom-sized display to fit your space. 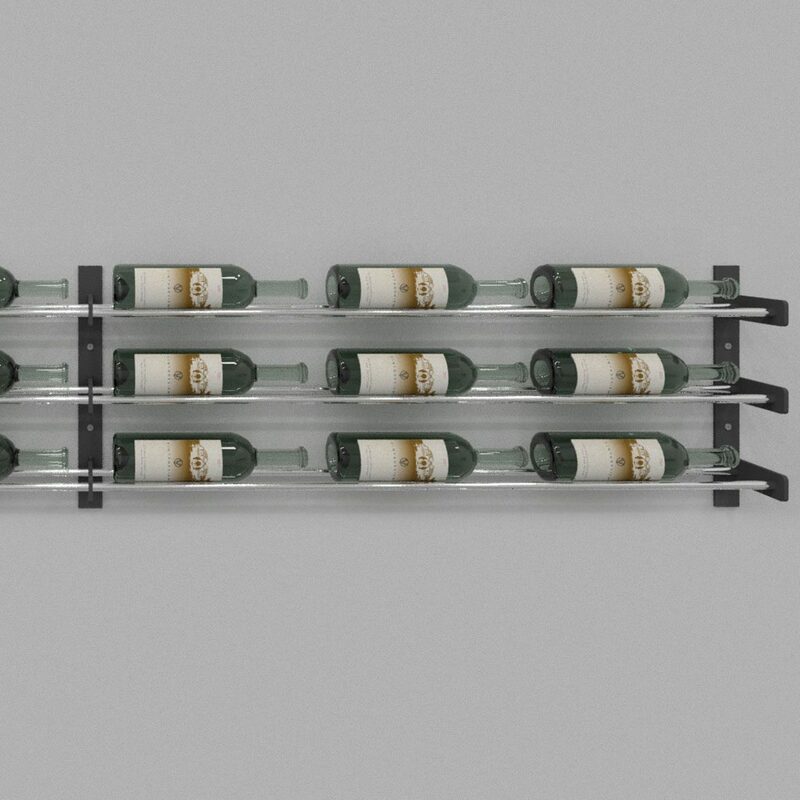 The Wine Wall 30 is a 6-bottle tall wall-mounted wine rack that can anchor a small wall or be lined up with other Wine Wall heights to create a custom-sized display to fit your space. 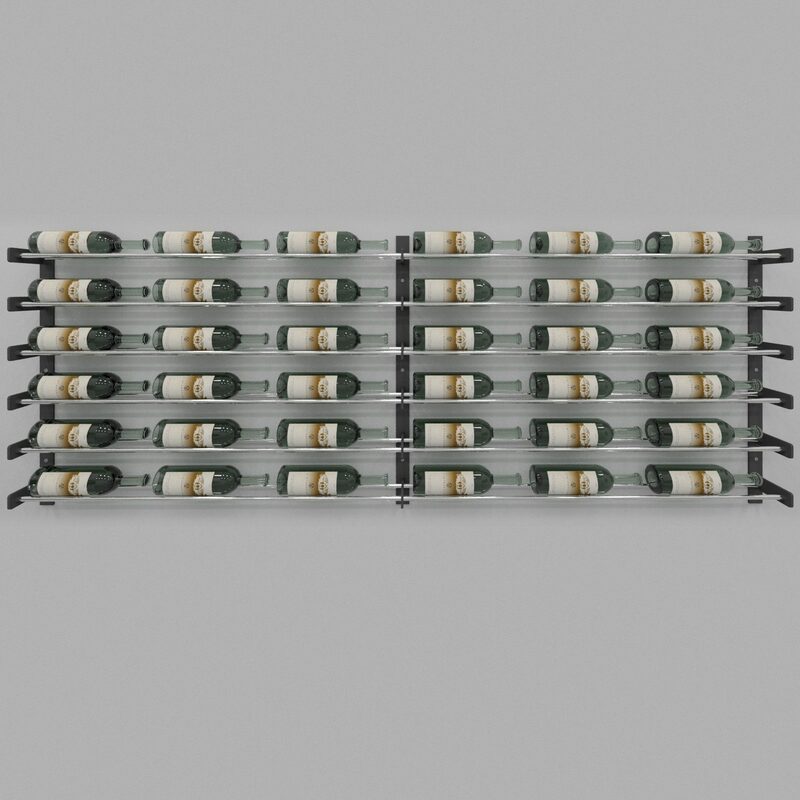 The Wine Wall 45 is a 9-bottle tall wine rack that stands on its own as an amazing wall-mounted wine display and can be lined up with other heights to create a custom-sized display to fit your space. 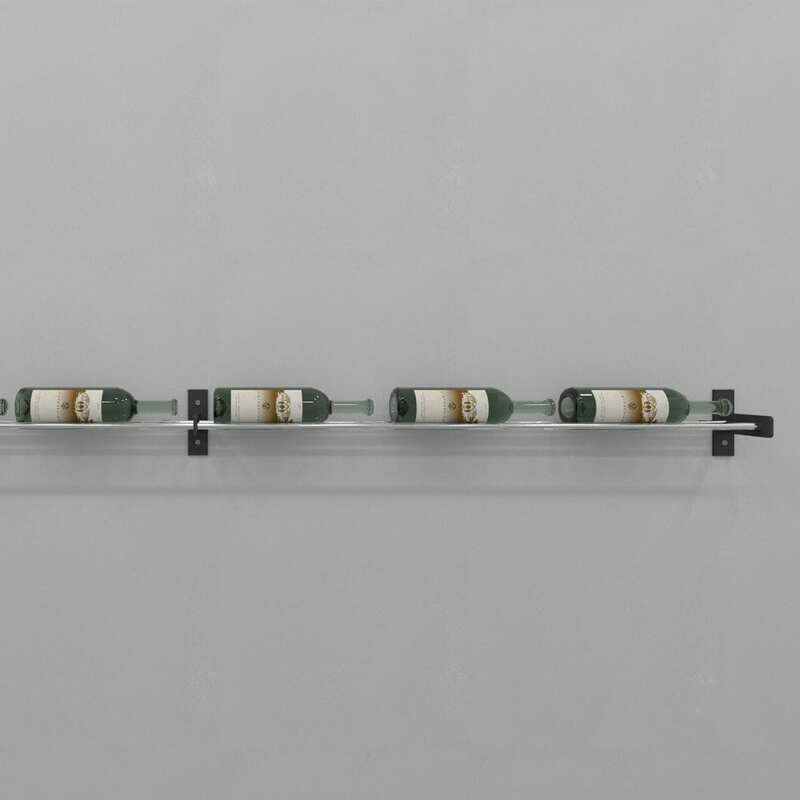 The Wine Wall Presentation Row is a unique way to show off your favorite vintages in “presentation” style. 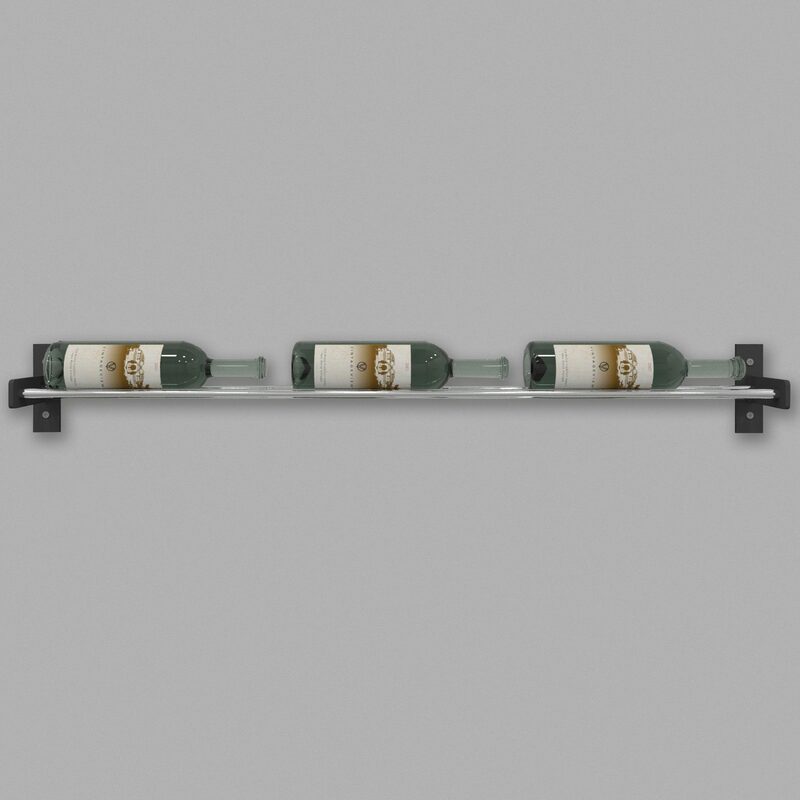 The Evolution Series Wine Wall 15″ Extension Kit includes an additional steel wall-mounting strip and steel Wine Rods needed to extend Wine Wall 15″ columns to the left or right. 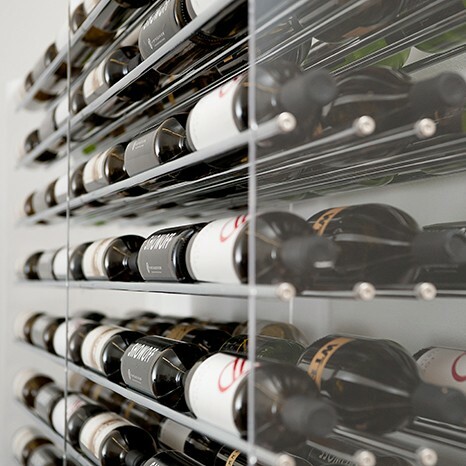 Design a custom Evolution-style display by selecting a side panel of your choosing and building the modern wine storage of your dreams with steel Evolution Support rods. 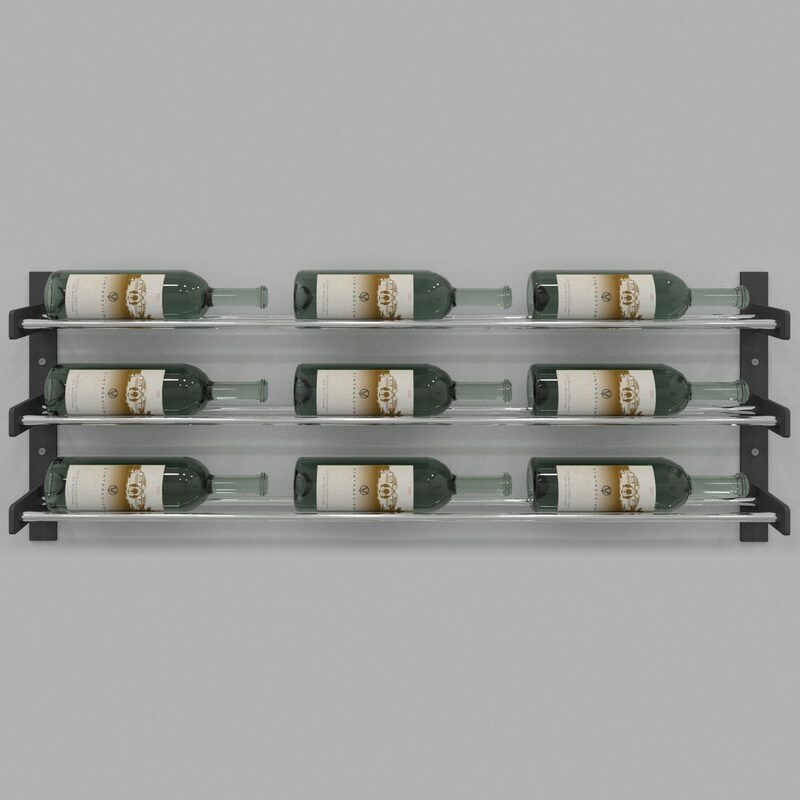 Designed to secure any freestanding Evolution Series Wine Tower to a wall, this simple-to-install clamp provides ample security to ensure wine-filled cases stand without wobble or fear of tipping over. 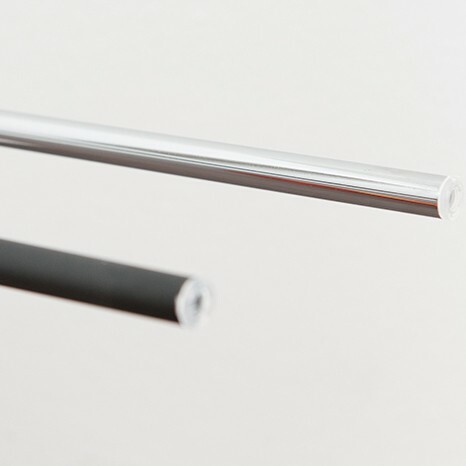 This stud allows the connection of two Evolution Support Rods to either side of a connecting panel. 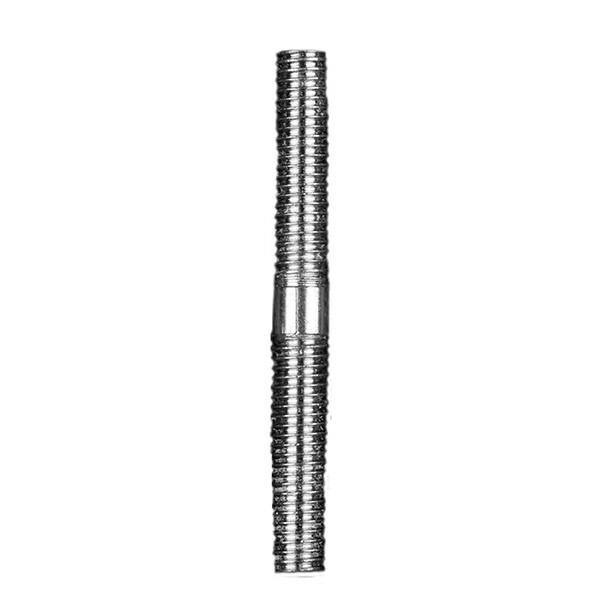 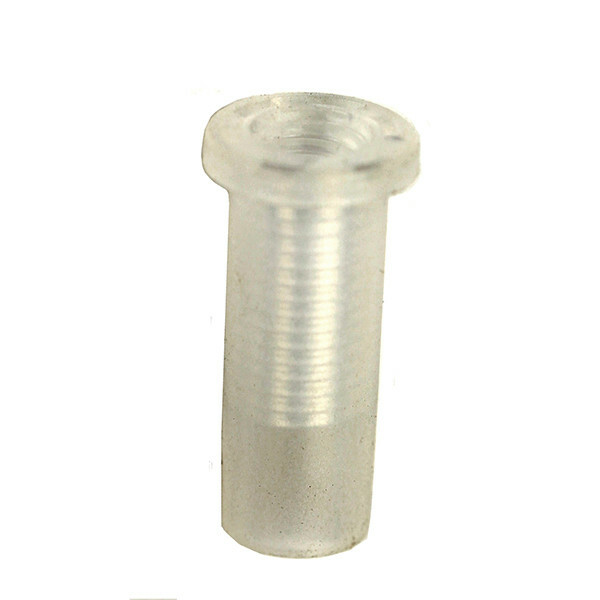 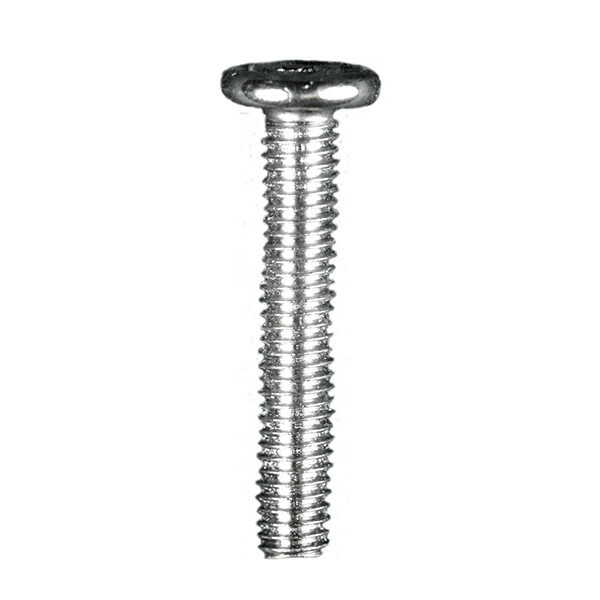 Projects that require cutting down steel Evolution Support Rods to any custom length require the Evolution Threaded Insert.